To Raise Unashamed Workmen Of Jesus Christ. Training And Equipping Christians For Ministry. Ten years ago, what seemed like a dream is now a reality. In a small room on Martin Road in Kampala, Uganda with just four people, JWTL Ministries was born. What has been achieved cannot be quantified, but most of all, it has made irreversible life changes. JWTL is now a large and ever growing non-denominational Christian Ministry in Uganda. Its origins though humble, its impact on lives is and continues to be phenomenal. It has been said, “The best ministries always know what they do best.” From the beginning, JWTL was all inclusive and laid emphasis on making the Bible Truth known and helping those in physical needs. As the ministry grew, so did the members, partners and friends. ” Jesus is the way,Truth and the Life Ministries International (JWTL), a large, ever expanding ministry whose headquarters are in Uganda, with operational ministries such as charity, hospital, prisons, refugees, television and radio among others. Our courses are designed for pastors, all church ministers and leaders as well as everyone interested. 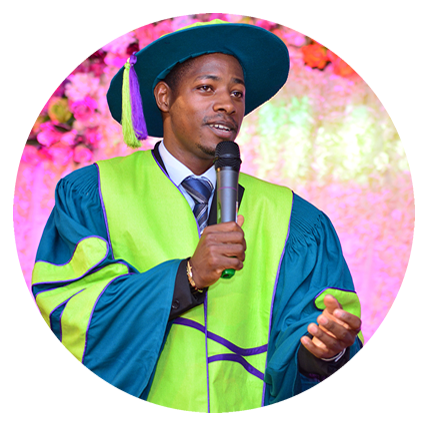 Degrees , Diplomas, Certificates, Foundations, All in Biblical Studies, Christian Ministry and Leadership. Our courses follow a cumulative order: without one stage accomplished you can’t enroll. The time required to accomplish our highest stage is Four years. From your first day in School all hours spent will add to your final. At International school of Christian Growth We enroll new students in January, April, August. However, each student is required to contribute towards the printing of their certificates, transcripts.